Note: The award committee is aware that receiving a scholarship may relieve you and your family of financial obligations, reduce your need to work, and possibly allow you to avoid borrowing money. Mention these circumstances only if they are essential to your story. Proofread your essay carefully. Correct spelling and grammar communicate your intelligence and dedication. A typewritten essay is preferred, although a handwritten essay will be accepted provided that the handwriting is clearly legible. A donor provided this scholarship to help students like you. Please tell the donor what this scholarship means to you personally as well as financially. Your donor – an alum, parent, or friend — gave to SAU because it influenced their life or the life of someone dear to them. 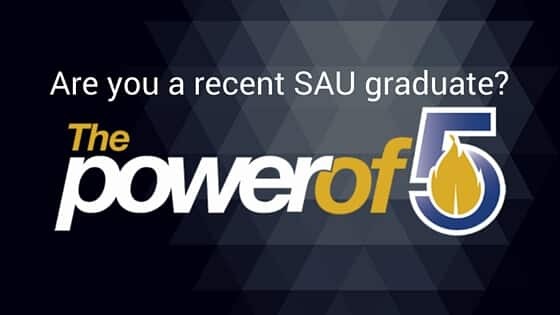 Please tell the donor how attending SAU is meaningful to you or has changed you. SAU alumni and donors have many different life experiences, and they are interested in what you are planning to accomplish. Please share your plans. The SAU community is important to your donor. What activities are you participating in on campus and how are these activities affecting your campus experience?